On February 7, 2019, the Law of Ukraine “On Currency and Foreign Exchange Transactions”, which was adopted last year, entered into force. It aims to significantly liberalize regulation in the field of foreign exchange control and circulation of foreign currency on the territory of Ukraine. At the time of adoption, the law received a positive assessment of business, since a number of key points were transferred to sub-legal regulation by the regulatory acts of the National Bank of Ukraine (NBU). What are the real consequences of the new law on currency for business? The most important innovation, which concerns almost everyone, was the change in the control system for export-import operations. The deadline for calculations is 365 days with the entry into force of the law, not 180 as it was before. Moreover, the regulatory acts of the NBU introduce the concept of “insignificant amount of currency operation. “Now, in export-import operations, the amount of which does not exceed the limit, banks do not control and do not require the submission of documents confirming the completion of the transaction. The small size is equal to the current limit value of the transaction, which is subject to financial monitoring. Today it amounts to 150 thousand UAH. The question as to whether it is possible to refuse to sign acts of performed works / services provided to non-residents for operations less than the maximum size remains open. Despite the fact that there is no need to submit an act to a serving bank, the requirement for the primary documents for tax accounting purposes has not been canceled. Now companies will be able to easily pay for minor payments in foreign currency. For example, when ordering various services through the Internet. Previously, this was not possible, since no documents proving such an operation were issued. Also, abolished and special sanctions for violation of the terms of operations – the regime of individual licensing and a ban on foreign economic activity. However, the penalty for breach of the terms remained unchanged and will be charged as before. The volume of compulsory sale of the currency from March 1, 2019 decreases from 50% to 30% – the corresponding changes were made by the NBU Resolution No. 35 of February 6, 2019. It should be noted that taking into account the weakening of the export-import control regime, despite the existence of standards for the sale of foreign exchange earnings, it is now possible to enter the counterclaims between a resident and a non-resident in order to close the foreign exchange control over export-import transactions. Another important innovation is the ability of legal entities and individuals to open accounts in foreign banks. Previously, it was necessary to obtain an individual license from the NBU, after which a quarterly report on the availability of valuables abroad. Now companies and individuals can freely and without limitations carry out any operations on such accounts, except for transferring funds from them, as well as transfers from foreign accounts to Ukrainian. The latter will fall under the general requirements for financial monitoring and currency control, as well as other operations for obtaining or transferring foreign currency to Ukraine and abroad. It is also worth paying attention to the abolition of the necessity of registration with the NBU of credit agreements with non-residents. It is well-known that such contracts are actively used to finance foreign investors of their subsidiaries in Ukraine. So the practical significance of this narrative is difficult to overestimate. Despite the fact that in the last two years the NBU has taken serious steps to simplify and speed up the registration procedure, the main formal constraints still created inconvenience to investors. Now the registration procedure has been completely abolished; instead, the NBU has developed and implemented a new notification procedure. And most importantly, this procedure is entirely attributed to the responsibilities of banks, and the resident borrower (as non-resident borrower) does not bear any responsibility for it. In fact, the whole procedure becomes invisible to customers, and the bank carries out the necessary actions on its own at the first client’s request for service of a signed loan agreement. It should be noted that now loan agreements come into force without an attachment until their registration with the NBU. Previously, the need for such a registration led to problems with certain foreign jurisdictions, where there were similar rules. Some insignificant changes are also in the issue of paying dividends to non-residents. The maximum amount of payout has slightly increased. Now it is 7 million Euros per month, not 7 million dollars as it was before. However, the period for which dividends can be paid remained limited until 2017 inclusive. The issue of buying currency for the transfer of foreign dividends for 2018 remains open. In general, all of these changes are positive. 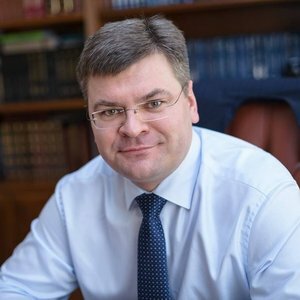 Despite the skepticism of a number of experts, the adoption by the NBU of regulation did not transform the liberalization of the law into fiction, and business will certainly have the opportunity to feel the effect of the liberal innovations established in the new law.